Orla Martin followed with a selection which included ‘The Rising’, something of a study of the ‘organised chaos’ of sharing a bedroom at home with a sbling who is… em… rather untidy. Celeste had spoken of the importance of ‘relationships’ in her poetry and so too with Orla in a piece called ‘Sleeping Beauty’ and also in her last one (today) called ‘Phobic’. I liked particularly the one about her work-day life called ‘For a Living’ which had a line in it somewhere about Baggot Street that reminded me of Eliot’s one about the crowds going over London Bridge (‘so many’): her poem caught the same humdrum weariness, I thought. 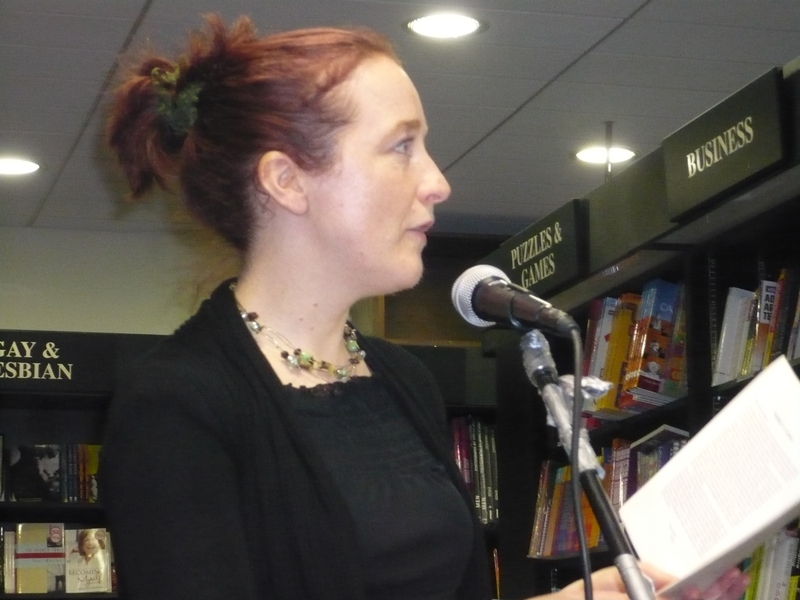 Previous Post: ‘Chapters and Verse’ Evening Reading at Chapters Bookshop Thursday 11 March 2010. Next Post: Reading at the ‘Hammersmith Ram’, London, Sunday 28th March.